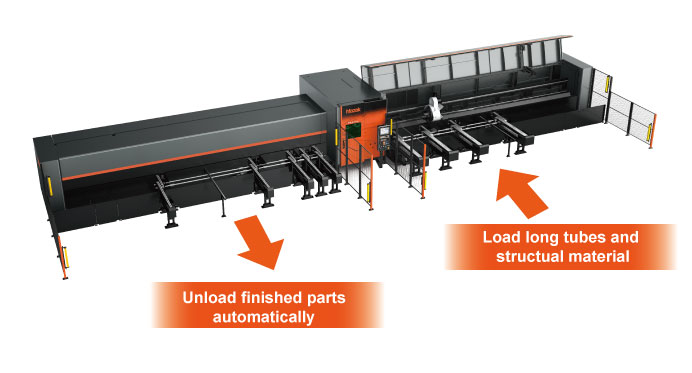 Just load the material in the loading station, and material handling, 3D laser cutting and unloading of finished workpieces are all performed automatically. 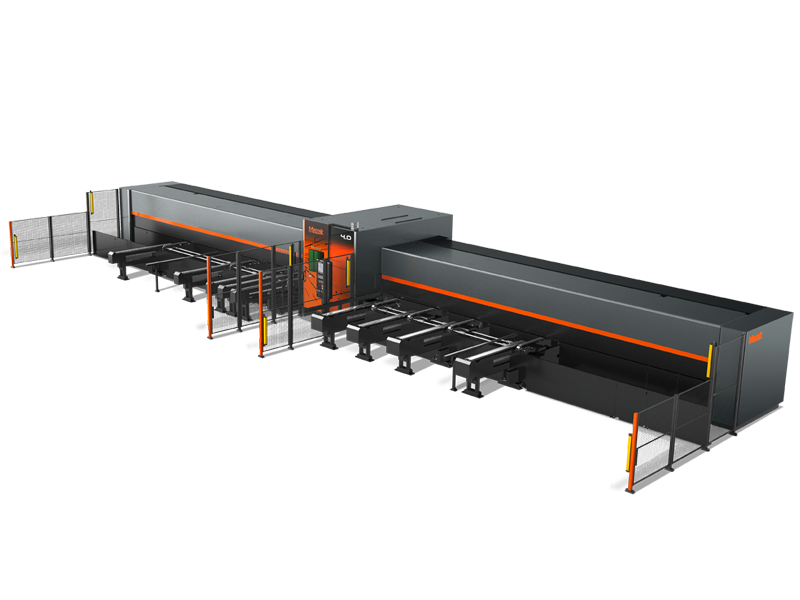 The Direct Diode Laser has a shorter wavelength than a CO2 laser for high speed cutting of mild steel with nitrogen assist gas. 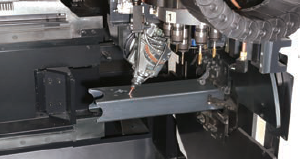 The FG-220 DDL improves pproductivity of cutting this to mid thickness pipe and other structural material.